Some people cruise for adventure. Others cruise to party. And still others cruise to get away from it all and relax. If you find yourself in that last group, then chances are good that you’ll visit the ship’s spa at least once on your trip. After all, what’s more relaxing than a deep-tissue massage or a hydrating facial while on vacation? Of course the cruise lines are happy to help. It’s impossible to find any major cruise ship that doesn’t dedicate prime space to a spa area. That may be due to the fact that there is a captive audience aboard the ship — especially on sea days — and cruise lines can expect to see steady business. If you’re a first-time when it comes to cruise ship spas, or even if you’ve been every trip, we’ve rounded up some interesting things to know about relaxing on the high seas. While it may be relaxing to go to the spa, it doesn’t sound relaxing to work in one. Employees on the ship all work long hours — it’s the norm when at sea. But can you imagine working such long hours in a spa? According to one account, the masseuse in the spa gives massages for nearly 12 hours straight. It takes hard work to help you relax. Sea days are big business for the cruise ship spas. Thousands of people are on the ship with nothing but time. Spots for the spa fill up more quickly on these days. If you want to avoid the crowds, try booking a treatment for when the ship is in port. If you still want to get off the ship and enjoy some time exploring on land, you can book the spa appointment either first thing in the morning or in the evening. That gives you the rest of the day to be in port. One thing about the spas is that you should expect to spend some dough. Compared to some resorts in Las Vegas or similar tourist hotspots, the rates aren’t bad. But what you’d pay at your local spa or salon for treatment is much less. An hour-long massage will cost around $100 or more. You’ll get great service, but you’ll also pay for it. There’s way more to the spa than getting a rub-down. The treatments offer a variety of ways to pamper yourself. From teeth whitening to facials to acupuncture to Botox, if it can make you look or feel better, then it’s likely available at the ship’s spa. Just like any other service on a cruise ship, gratuity is expected in the spa. 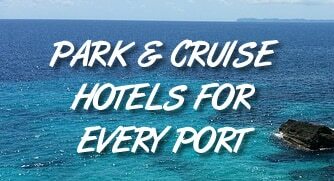 In fact, most cruise lines will automatically add in 15% gratuity automatically to your bill. If your service is less than stellar you can always go back and adjust this tip amount — or add more if your time at the spa is spectacular and you’re feeling generous. Don’t worry, they don’t just put random people to work in the spa. The staff is well trained. For example, Steiner is a company that helps cruise lines fill their spas with qualified employees. According to its website, the company requires at least 600 hours of training before a masseuse can be eligible to become a massage therapist on a cruise ship. For comparison, most states have a 500 hour minimum before a massage therapist will be given a license. Want a freebie? Head to the spa early during your trip. To get people signed up, the spa will often have demonstrations scheduled the first day or two of the cruise. The best part? They will usually give demonstrations and sometimes use members of the audience as “guinea pigs”. If you’re selected, then you basically get a free sample of the treatment. The spa on the ship is like an oasis. And you don’t always have to pay. In fact, the showers/changing rooms are often shared between the onboard gym and the spa. So you can go and grab a shower in a place that’s nicer — and larger — than your in-cabin shower. Best of all, if you want to take a long, hot shower, you don’t have to worry about steaming your cabin and making everything feel damp.